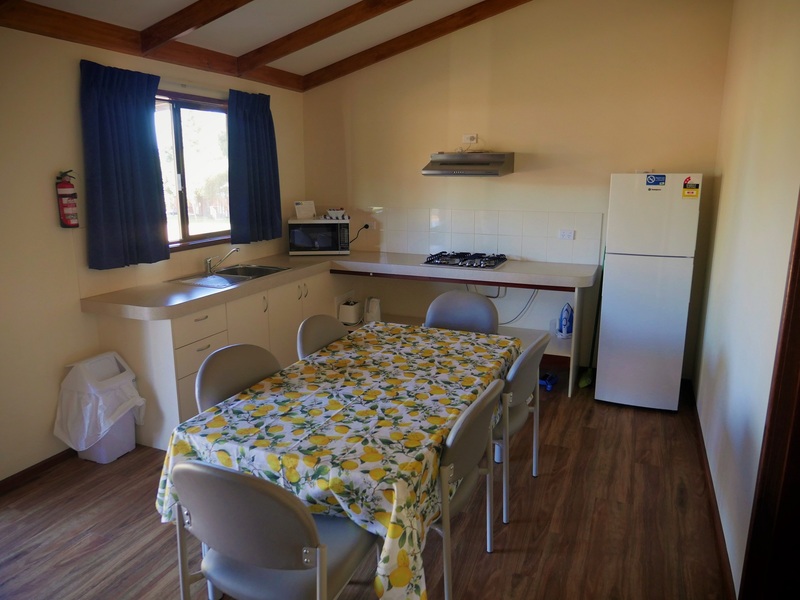 BIG4 Taunton Farm Holiday Park is conveniently located in the heart of the Margaret River Wine Region in the South West of Western Australia, a short 3 hour drive from Perth. 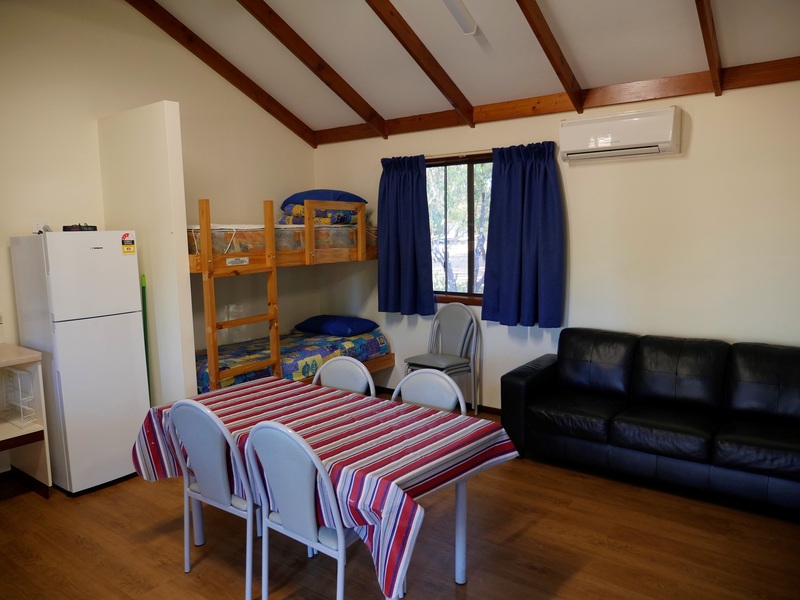 This BIG4 Holiday Park is farm themed and an ideal place to base yourself while exploring the nearby caves, wineries, surf beaches, whale watching, cruises and many more local attractions of Margaret River and “Cow Town” (Cowaramup). The tranquil farm environment offers accommodation to suit most budgets and includes fully self-contained farm-style cottages (4 with full wheelchair access), large drive-through caravan and motorhome sites (all grassed) and a woodland camping area. BIG4 Taunton Farm is a working farm with the star attraction being the farm animal feeding every afternoon. Our facilities include a large barn-style camper’s kitchen with log fire and free gas BBQ's. Don’t forget the kids, we have a new bouncing pillow they will just love! WA Tourism Award Caravan & Camping 1997, 1999, 2000. Hall of Fame Caravan & Camping WA Tourism Awards 2001. On Bussell Highway, central to the wineries. Four and a half kilometres north of Cowaramup. Fifteen minutes north of Margaret River. Nearest intersection Harmans Mills Road. Our 2 Bedroom Cottage has a fully equipped kitchen, dining and lounge area including TV and DVD player. The sofa lounge that can fold down to a double bed. The double bed is recessed behind curtains from main living room. A separate bedroom has 2 sets of bunks. Doonas and pillows on all beds. Double bed has all linen provided; Single beds require sheets and towels which can be hired on arrival or supplied by guest. Ensuite Bathroom. Reverse cycle air conditioner. Self-contained 2 bedroom family cottage has a fully equipped kitchen, dining and lounge area with TV and DVD. . The main bedroom has a queen bed; the second bedroom has 2 sets of bunk beds. All beds provided with Doonas and Pillows; Queen bed has all linen provided; Single beds require sheets and towels which can be hired on arrival or supplied by guest. Open plan Kitchen dining area with Double bed recessed back behind curtains. 1 x Bunk bed . All beds provided with Doonas and Pillows; Double bed has all linen; Single beds require sheets and towels which can be hired on arrival or supplied by guest. Ensuite Bathroom. Some cabins have Wheelchair access. Reverse cycle air conditioner. 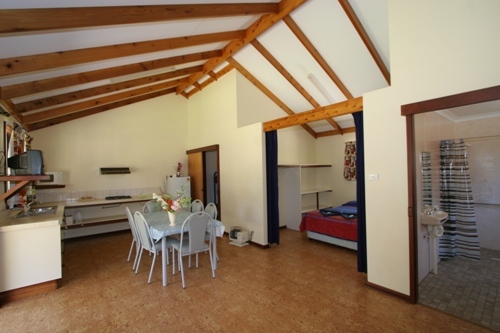 Self Contained 2 Bedroom family Cottage has a fully equipped kitchen, dining and Lounge area with TV and DVD. The Main bedroom has a queen bed and the second bedroom has a queen bed and a set of bunks. All beds provided with doonas and pillows. The Queen beds are made up with linen. Single beds require sheets and towels which can be hired on arrival or bought by guests. Separate Bathroom/Toliet .Reverse cycle Air conditioner. Separate Laundry at Ablution Block. A $20.00 surcharge applies to one night bookings Sunday to Thursday. 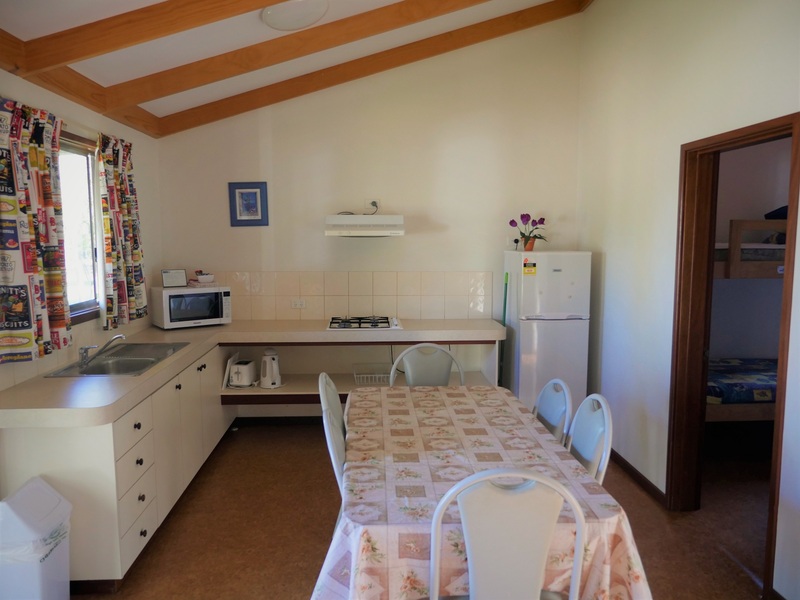 Bookings in cottages cancelled a fortnight prior has a $20 booking fee. In peak seasons bookings cancelled are only refunded if cottage is rebooked.